When I originally planned our Belgium Road Trip I was very focused on trying to visit to several breweries, particularly Trappist Breweries. 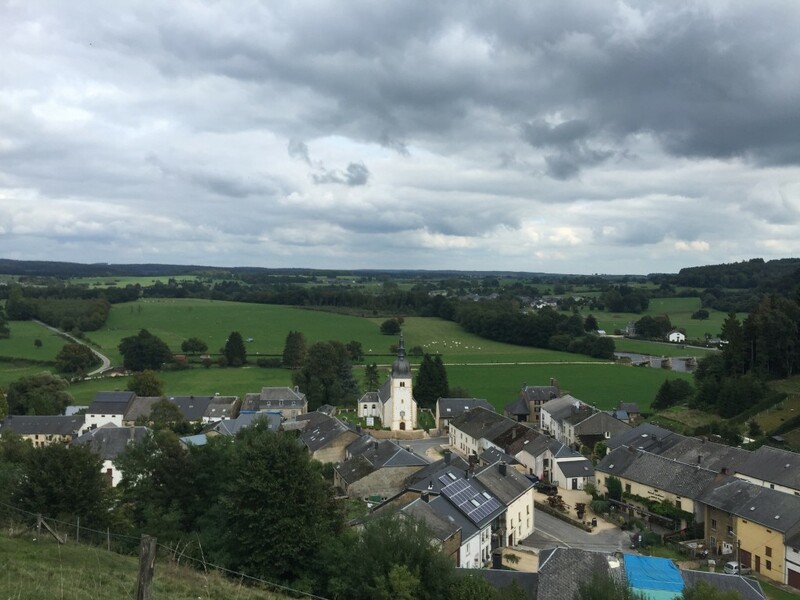 My thought was to take an entire day to visit Orval and Chimay and then make a few other stops along the way. 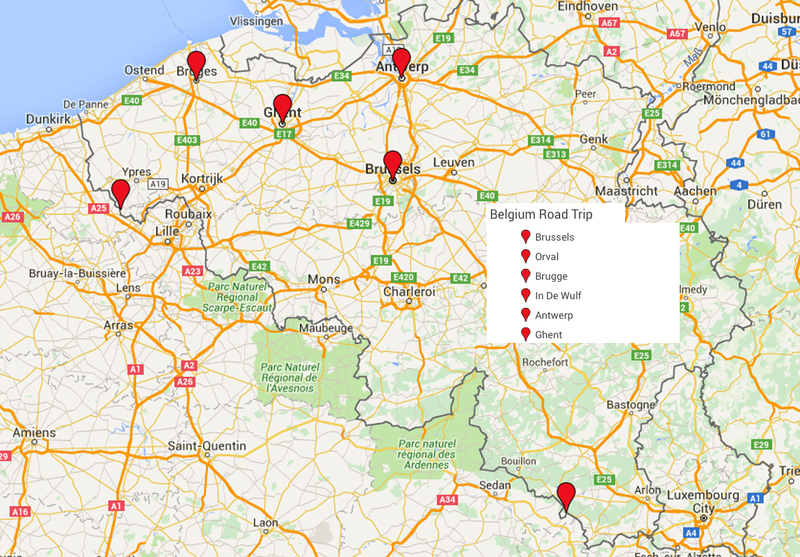 I had researched via the web (ROOKIE mistake) a few very small production breweries to visit on the drive to Orval. I read all of their websites carefully and by all indication they ALL looked open. Yeah…Not the case. It seems that Belgium is not like America in that businesses, particularly breweries in small towns, DO NOT post their hours CLEARLY on their website. This theme was pervasive during our trip. By the end of our journey it was funny, but in the beginning it was down right frustrating. To this day, I am still baffled at how businesses with such limited hours make any money. I will say this, if you’re planning on visiting smaller breweries pay extra attention to the hours and DAYS of business. Because you will likely be very disappointed when you arrive and they are closed yet their website has a mirky message with inferances as to when they are open. So with my plans crumbling, we re-calibrated our day. 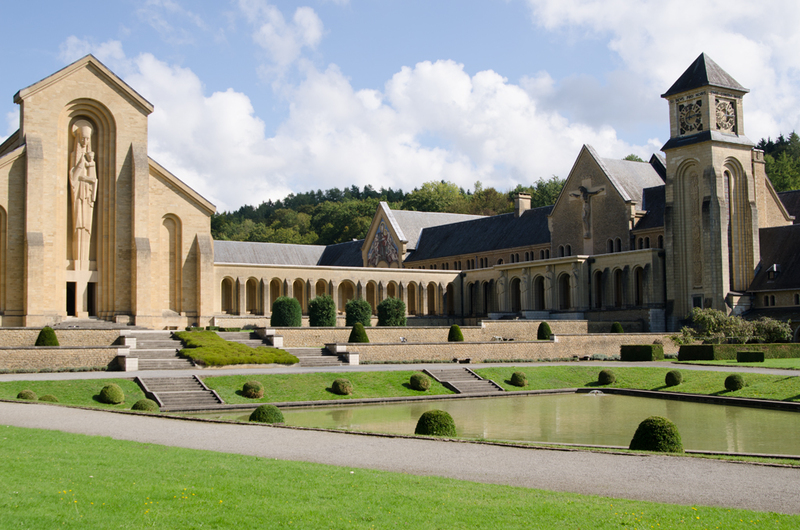 We scrapped several places on the list and drove directly to Orval Abbey. FYI, Monks develop great websites and they are very clear as to when they are open and closed. 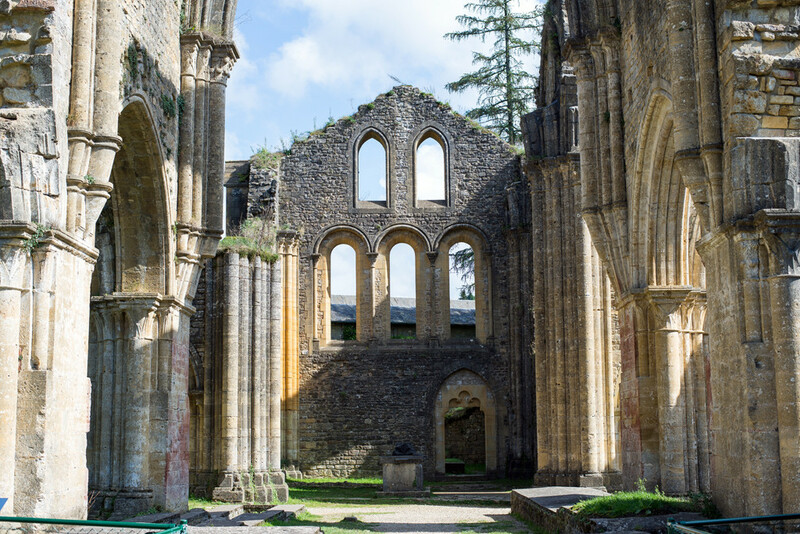 You cannot visit the Abbey at Orval but you can access to the ruins of the medieval abbey, view the 18th century buildings, the pharmaceutical museum and the medicinal herb-garden. Orval also has a lovely restaurant where you can grab lunch and drink their beer. On the day we visited the monks were brewing and we could smell the wort. It made our tour of the ruins a bit more special. 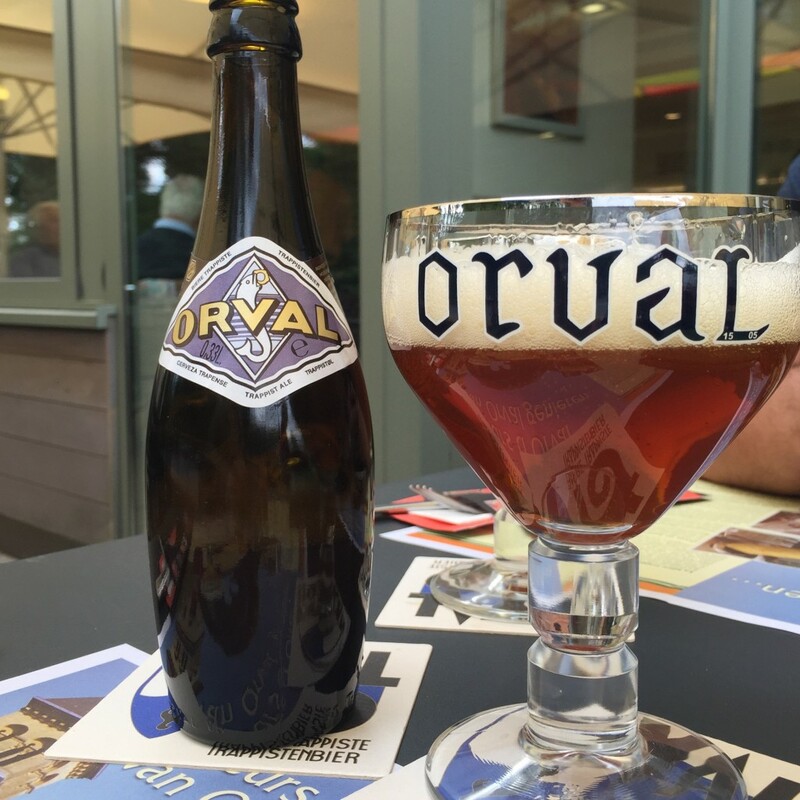 Orval makes one beer for the public but they sell both old and new beer (aged and not aged) at the restaurant. Orval is a hoppy ale with a lot of head which I really like. It was very drinkable and the flavors were more complex in the aged version. You can buy Orval in the US and if you like bitter hoppy beer I encourage you to try if it you haven’t already. Our next stop on our re-cailbrated Trappist day was Maredsous Abbey. 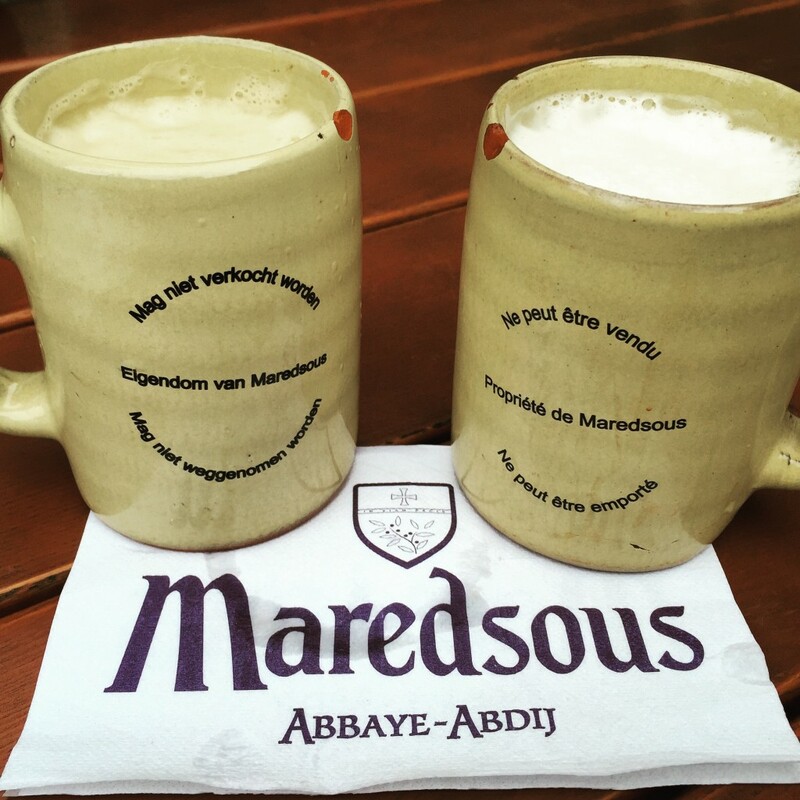 The monks at Mardesous are not Trappist and they no longer brew beer. But it is an Abbey and they do have beer…so when in Belgium! In 1963 a decision was made by the current Abbot (the monk honcho) to live according to the Benedictine way, a life which focuses on study and education. The monks at Maredsous now licence their beer to Duvel Moortgat who craft their Blond, Bruin and Tripel from the recipes used by the original Benedictine monks. My understanding is that the monks keep a watchful eye on the hops, yeast and malt used. I must say that everyone at Maredsous lived up to the Benedictine reputation and was extremely hospitable. It’s the Benedictine way. Trappist day was not 100% successful but upon reflection it was fun. If anything, the scenery during our failed Trappist day was amazing!